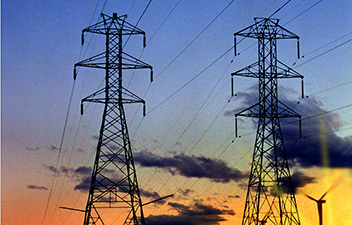 The majority of the nation’s electrical needs are served by a large and complex transmission and distribution system, known as the electrical grid. Comprised of high-voltage, long-distance lines (transmission system) and thousands upon thousands of lower voltage lines that carry electricity from the transmission system to individual homes and businesses (distribution system), the grid has remained largely unchanged for generations. But with a groundswell of new and improved renewable resources, and growing concerns about energy security and global climate change, power suppliers are searching for new ways to cleanly, safely and reliably provide power to meet their customers’ growing needs. The National Electric Energy Testing Research and Applications Center (NEETRAC) at Georgia Tech is focused on helping utilities address many of these challenges. Providing a broad range of analytical, engineering, research and testing services, researchers are developing tools for assessing and extending the life of grid components while improving efficiency and reliability of the nation’s electric energy transmission and distribution system. Part of the School of Electrical and Computer Engineering the center is supported by 40 equipment manufacturers and utility companies that serve more than 60 percent of U.S. electric customers. Researchers across Georgia Tech’s six colleges and in the Georgia Tech Research Institute are working to improve grid stability and reliability and integrate renewable energy sources and electric vehicles into the grid, with dynamic electricity pricing, and improved assessment and monitoring of the grid and its components.